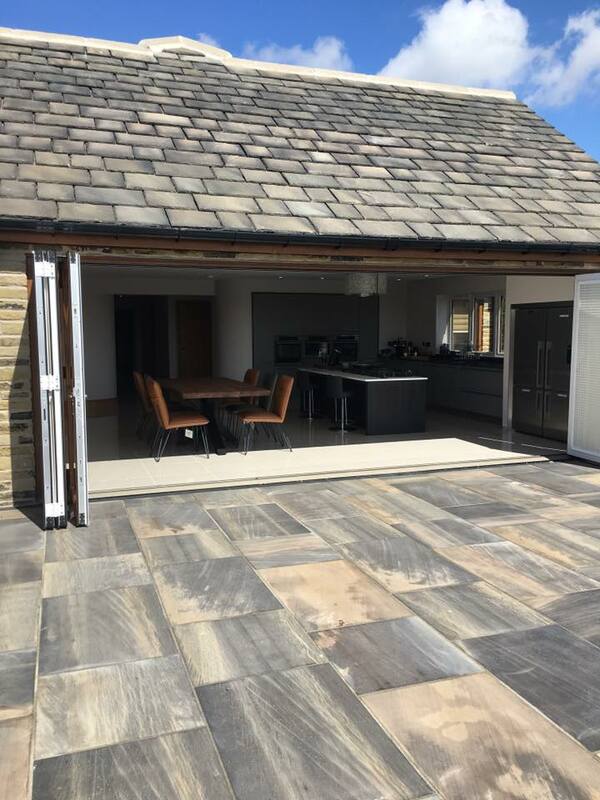 With its timeless look and enduring popularity, our high quality, excellent value black slate paving never fails to make a great impression every time. Deep black but with a lightly riven look, the texture of this slate has a smooth shiny appeal, particularly when wet. It also has very little variation in colour and as such means it matches in with any other colour scheme present. 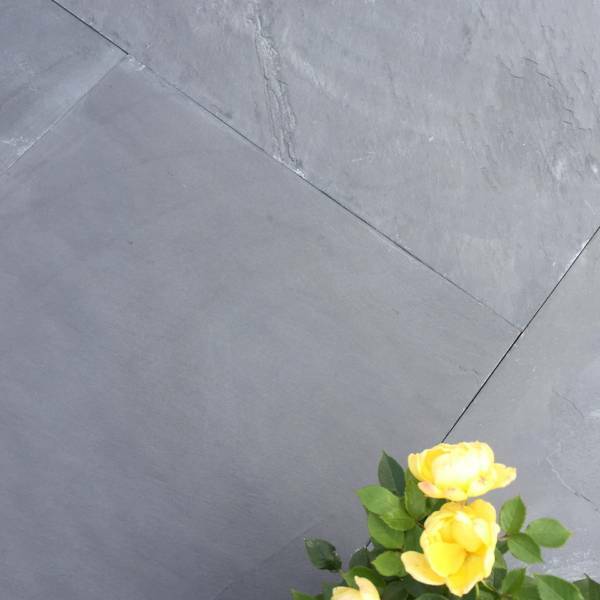 Our black slate paving is responsibly sourced and extremely hardwearing too, so very easy to maintain. This product is also available in our ever popular RF7 pack 19.19sqm and also in the individual size of 600 x 900 x 22mm. This means that when it comes to creating your own unique designs, the sky’s the limit! 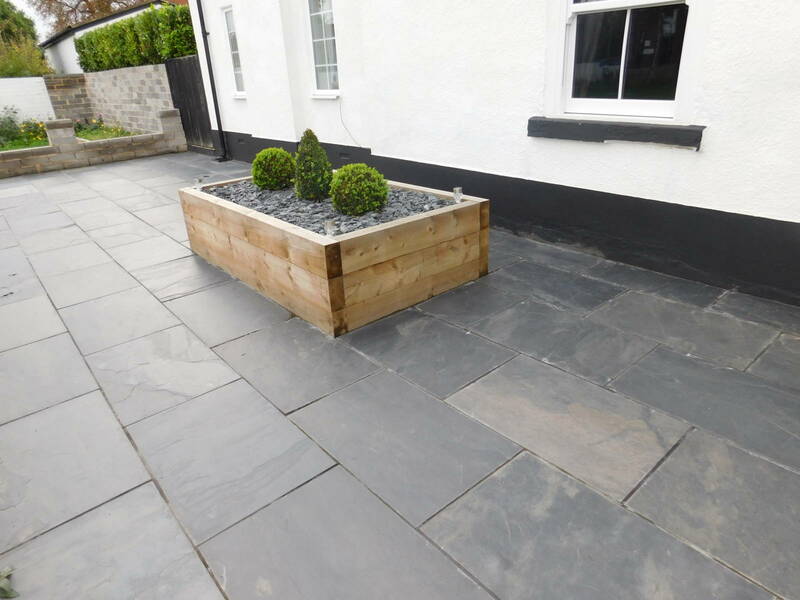 The strong black colour of our slate paving makes it a very popular choice for both modern and more traditional projects too. In a period property for example, it works wonderfully as internal flooring in a kitchen or sitting room, or as the surround for a water feature outside. 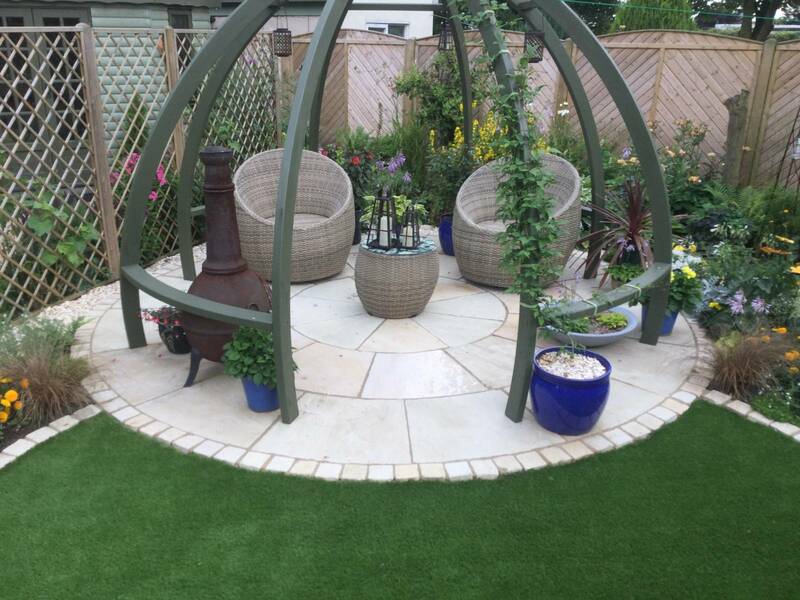 If it’s a more contemporary space you have in mind, then it makes for an ideal patio area or path for your garden. Not only that, but slate is known for being extremely dense and therefore has very low porosity. 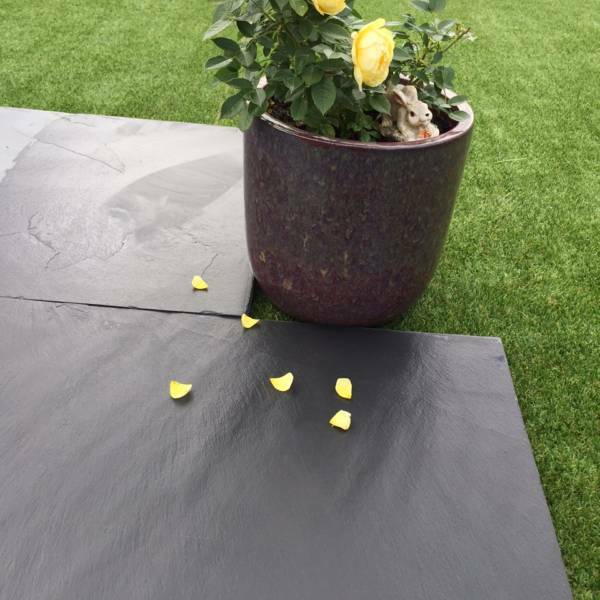 This not only makes it durable but so naturally stain-resistant too, so you can rest assured your stunning black slate paving from RF Paving will keep its striking look year after year. Here at RF Paving, we understand the importance of choosing the perfect paving first time. So whether you need help and advice on any aspect of paving for your business premises or your home, please do get in touch. One of our specialist advisors will also be happy to provide a fast, accurate quote. This slate is a slightly riven product that is pure black slate. The texture of this slate is smooth and slightly riven. The black shade is particularly stunning, being incredibly consistent in colour. This product is available in our ever popular RF7 pack 19.19sqm and also in the individual size 600 x 900 x 22mm. As suggested in the name, natural stone is a natural product that has been formed over many years therefore, a variation in colour is to be expected. We have tried to capture the products colour and have been as accurate as photography will allow us. 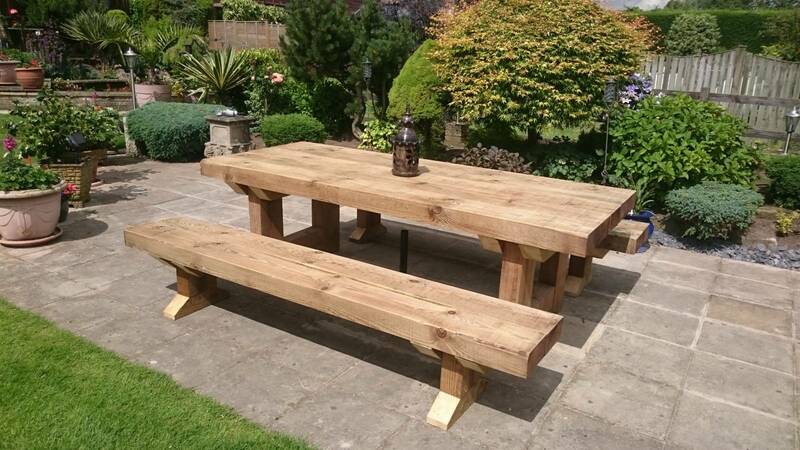 We do encourage you to also view a sample of this product or come and visit one of our many displays. If you have any questions about the variation, then please contact us and we will do our very best to assist. We want you to be 100% satisfied but we cannot help you if you have laid this product. Therefore, please get into contact with us if you have any problems when receiving the product.